Tid bits of history about essential oils…..
Before the Romans and Greeks discovered how to distill perfume from plants, they extracted scent through burning or steeping ingredients like roses, violet and jasmine in oil. They used their perfumes not just for the pretty scents; they believed ‘bad’ air could spread disease. Folks in this era filled the air with scent, believing this would prevent disease from being transported to them through the air. Here at the Inn at Laurita Winery we simply love to utilize different fragrances for aromatherapy in our spa. The term ‘aromatherapy’ by the way was coined by Rene-Maurice Gattefosse. 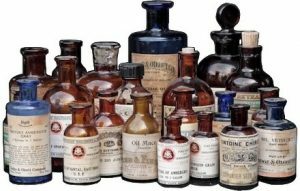 So there you have it, a few tid bits about the history of essential oils. 1-ounce alcohol; vodka will do, FYI: Alcohol is not necessary, but it will keep the spray lasting longer. If you don’t use the alcohol, add another ounce of distilled water. Choose other oil combinations, like lemon, mint and oregano to create wonderful room spray gifts! This is such a fun project to get the kids involved in too!